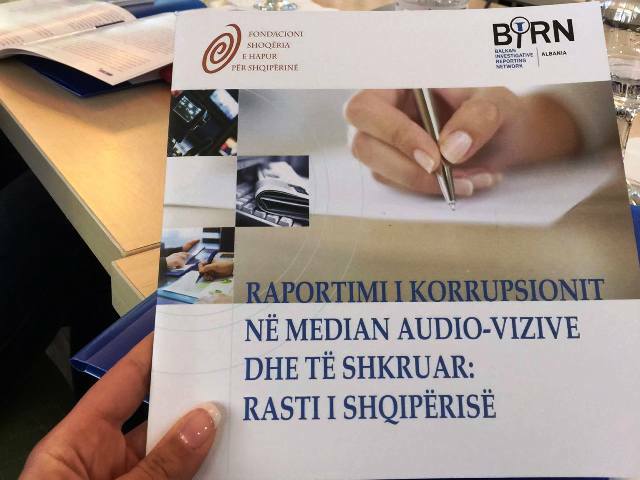 The objective of the study is to present and interpret a summary of the general characteristics as well as the quality and reliability of the reporting of Albanian media on issues and cases of corruption, based on a set of quantitative indicators, in order to identify possible problems and shortfalls in the implementation of journalistic standards. The findings of this monitoring initiative are intended to be used as reference material to assist the various local and international actors involved in media development in Albania, local journalists’ unions, as well as reporters and editors, in undertaking projects and activities that could eventually increase both the quantity and the quality of reporting on corruption, impunity and efficiency of anti-corruption initiatives. To download a copy of the report in Albanian click here. To download a copy of the report in English click here.